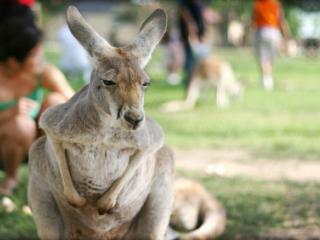 Animal lovers cannot miss a trip to the Melbourne Zoo while visiting Victoria. A fun day out for the whole family, the world famous Melbourne Zoo is home to more than 300 interesting animals including meerkats, tigers, bears, a butterfly house and baboon lookout. 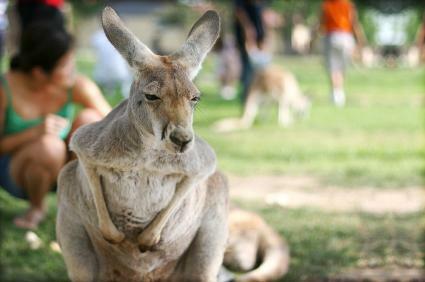 The oldest zoo in Australia, Melbourne Zoo is just minutes from the CBD and is easily accessed via train or tram. Open daily from 9 am to 5 pm, the zoo is home to a wide range of attractions including three new elephants and a conservation plan to preserve the environment as well as a number of endangered species. There are a number of exciting, interactive exhibits designed for the kids as well as the opportunity to see kangaroos and koalas in an Australian bush setting. The Gorilla Rainforest is another popular attraction and offers a chance to learn about saving wildlife from extinction. The new Orangutan Sanctuary is is home to a tree top viewing walkway which brings you face to face with the animals in carefully constructed habitats designed to recreate their natural home environments. There are also tropical African habitats and Asian rainforest exhibits where you can stroll through and enjoy the fresh air. You'll need to dedicate at least one whole day to the zoo in order to appreciate it properly however during the summer season, you might wish to set aside a bit of extra time for the concert events that take place over 18 evenings from late January to March. Australian music icons take to the stage for performances including James Reyne, Kate Ceberano and Glen Shorrock. Entry to the zoo is via single tickets however there are also special packages available for school students and discounts for larger groups.